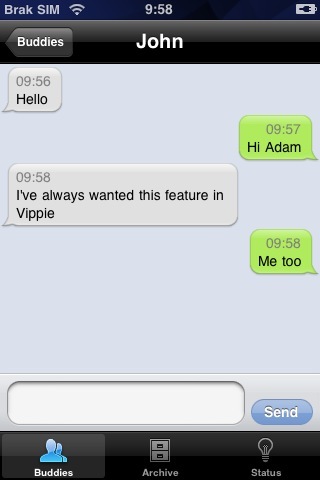 You can now chat with other users and see their actual presence in the Vippie for IPhone application. It works with XMPP servers, by default it connects to the server which is part of Voipswitch solution but can also be connected to other XMPP services like Google Talk, jabber.org etc. 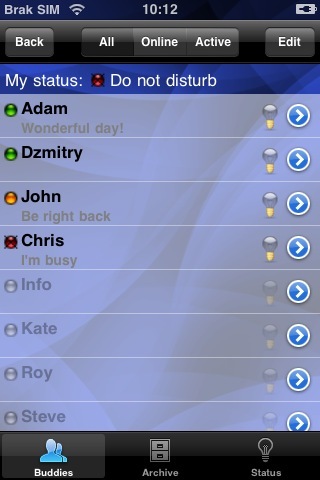 The main functionality includes chat and presence, we plan to add more in near future. The IM is available from version 1.0.9.